If you’re here, you’re probably thinking of selling your home sometime soon. We don’t blame you! Homeowners everywhere, like you, are giddily thinking about all that sweet equity they’ve built up and how awesome it’ll be to cash in! Like you, they’ve probably heard over-and-over from friends, family, & know-it-all co-workers that it’s time to downsize, upsize, or otherwise get wise and put that home up for sale! You’re ready. But is your home ready? Wait a sec… are you sure you’re ready? Brace yourselves. A move is coming. Let’s turn it back to you for a minute. Have you considered what moving entails? Do your personal goals for moving go beyond the financial ones? How confident are you? Don’t feel pressured to sell just because Chad in accounting heard from his buddy’s wife about a podcast last year that touted summer as the best time to sell. (Chad’s buddy’s wife’s podcast is right… but that’s not the point here.) This decision is YOURS and should happen because it feels right to YOU. Forget Chad in accounting. Just don’t forget: Selling your home means you’ll have to find a new place. Once you’ve crunched the numbers and know what your budget is, think about where you want to go. If there’s a community you like, do some in-depth research. You may love the area. It may be beautiful and full of friendly potential neighbors. But is it safe? What are its amenities? How about walkability, or the potential commute to your job? Will you and Chad from accounting pass each other on the drive to work? Hey – we’re not trying to talk you out of it. That’d be bad for business! But we hate to clients sell before they’re ready. That’s not just bad business, that’s bad mojo. So, we like to slap you with a few truth-bombs to make sure you’ve covered all the bases before that sign goes up in your yard. your home. A not-so-secret-sale-killer is listing with the wrong broker. A good, local REALTOR® is totally informed. 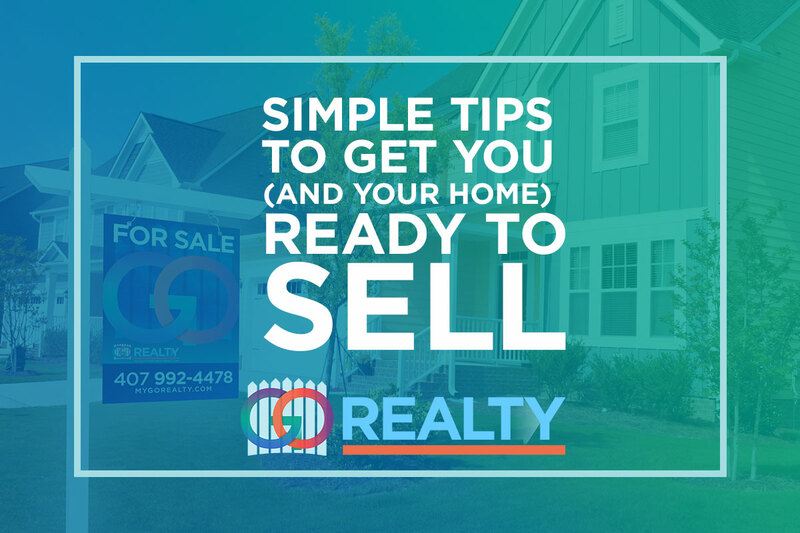 They constantly monitor the multiple listing service (MLS), know exactly which properties are going on the market and know the comparables in your neighborhood. Find an agent who embraces technology – a tech-savvy REALTOR® has the tools to get your house sold. Oh, and don’t forget to ask to see some of their past listings’ photos. Call us biased, but a GO Realty Agent is your consummate guide to the area. We don’t just study the map, we’re out there IN IT every day – exploring neighborhoods, learning the ins-and-outs, the dos-and-don’ts, and seeing first-hand what buyers these days are looking for (and what turns them away). Your GO Agent can help you spot issues with your listing before buyers start touring your home. We weed out the surprises from the start, so you can list with confidence! Deciding on the right price for your home is one of the most tricky aspects of the sale. It really comes down to a science. 60% of buyers purchase home AT market value. When you price your home where the market actually values it, you expose it to a much larger pool of prospective buyers. That makes you that much more likely to sell. And don’t forget about timing! A home sees the most buzz when it’s new to the market, and reaches the peak of buyer interest within the first few weeks. If it sells right away, you’ve probably priced too low. If it hasn’t sold after six weeks and multiple showing, there’s likely an issue. More often than not, that issues is an overpriced home. Once it’s lingered on the market, the only offers you’ll get will be low-balls. Bottom line: pricing correctly from the start will save you time, and get you the best offers! GO Realty Agents are trained in the science of pricing. You can talk to a GO Realty agent (for FREE) about a pricing & timing strategy for your home. Give us a call or visit us online to learn more! Sounds like you’re ready! So GO Get those buyers!